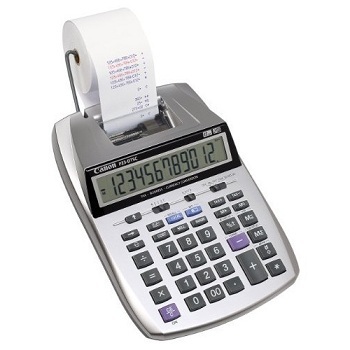 Stylish silver body, 12-digit palm size printing calculator. Fast 1 Colour printing - 2.0 lines per second. GST Tax, Memory and Percentage functions, will easily calculate Cost, Sell and Margin. Currency conversion function. Decimal positions: F, 0, 1, 2, 3, 4. The P23-DTS provides portability with desktop functionality. 12-digit easy to operate large keytops and spacious keyboard. Prints on standard 57 mm paper roll. 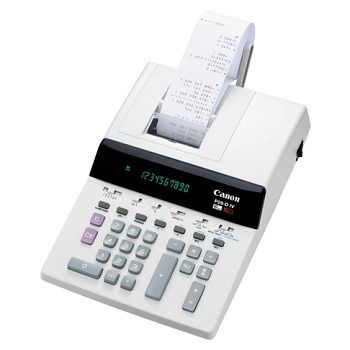 12-digit printing calculator manufactured using recycled Canon Copier material. Fast 2 Colour ink roller printing - 2.3 lines per second. Practical Clock and Calendar function for both display and printouts. Currency conversion function. Decimal positions: +, 0, 1, 2, 3, 4, F and Rounding switch. 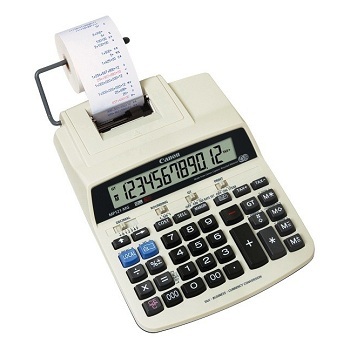 10-digit blue fluorescent display with punctuation heavy duty printing calculator. Fast 2 Colour ink ribbon printing - 3.6 lines per second. The clear Canola key layout, a real favourite with professional users, ensures fast, easy and virtually error-free entry of figures. 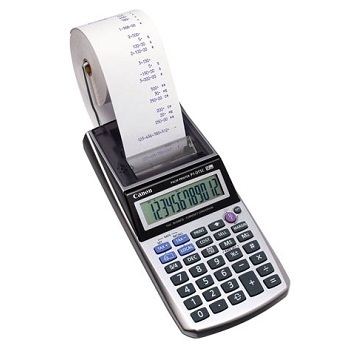 Gross profit and versatile count function. Currency conversion function in 3 values. Decimal positions: +, 3, 2, 1, 0, F and Rounding switch.